AnimSchoolBlog: 5 websites to feel the magic of animation! 5 websites to feel the magic of animation! An animator always craves to make an animation shot that makes people go, "wow!" (with or without stepping back with surprised face but preferably with). One of the best moments of an animator's life comes when people feel the emotions of the character(s) and forget that the shot is an animated shot. That feeling that you are making someone laugh, cry, happy or sad just by animating is an amazing feeling and is the basic drive behind the animators' struggle to become better at their job. In order to be better at this craft, animators spent countless hours animating, studying live action or animated movies. In short, training eyes to see animation, beats, arcs and motion which brings me to my first website of this blog. What is really really cool about this site is that more or less all gifs have a beautiful pattern to them. You might have watched the movie, the gif was from but missed that particular beat or small movement that made that animation so interesting. It has examples from all types of animations and once you get to know this site, it is hard to get out of it. Second website that I would like to introduce is one of my top favorite sites and it is all about smear frames. Smear frames is the first thing after the bouncing ball that animators get obsessed with. These become such an obsession that even when a shot does not require smear frames, they get put in (sometimes furiously and stubbornly) because look at them; they are so cool. It takes quite a while to understand where to put them effectively and for this, you need really good teachers. Once you know where to put a smear frame effectively, it becomes much more than just a frame; it becomes art. This site helps bring that art, otherwise lost in motion, in front of us and trust me, it is beautiful. Third website that I want to bring into this blog is one of the most incredible blogs that I ever visited and it is called the "Living Lines Library." This library is one of the most beautiful websites, dedicated to animation industry. It features pencil tests, model sheets, production art, documentaries and artists from almost all animated movies. 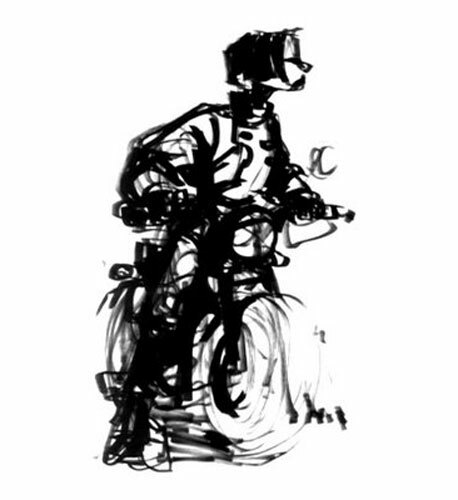 And beautiful drawings like this. It is a gold mine for a person who has penchant for animated movies.. Go crazy! It's a crazy website. What it does is that it takes a movie and then puts all the frames of it on its website. It is also a pretty fast way for an animator to check a scene and analyze it because all the frames are there already. It also gives you an option to download images of a particular gallery in a .zip file. Pretty cool, eh! Cartoon Brew is one of the most famous websites to get information regarding animation. It is always breaking news regarding animation world, announcing new movies, giving information regarding animation festivals, topics to debate about and new artists and animators to watch out for. The most interesting thing, for me, though is their daily picks of the day: videos (animated) and artists. It is inspiring to see so much variety in animation and sensibilities that artists around the world bring to their art. For me, this website opens one's mind and is essential to broaden one's horizon. It pushes you to find your own voice and get motivated. Bookmark it! Thank you. I hope you enjoyed these 5 websites. 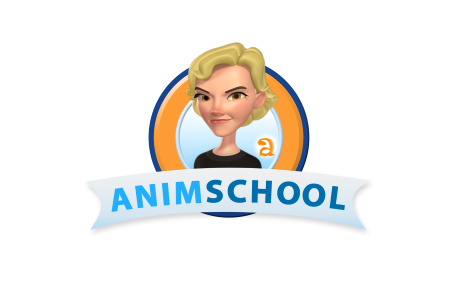 To learn animation, join us at animSchool.com where we offer online animation classes to help you become better animator. Thank you for posting these websites they're really useful.